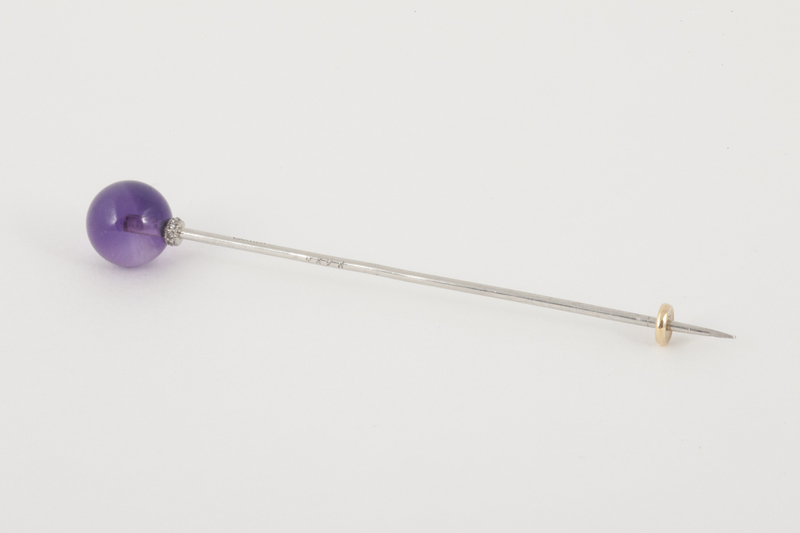 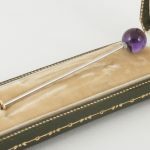 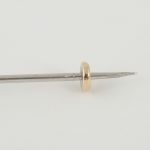 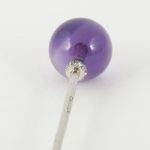 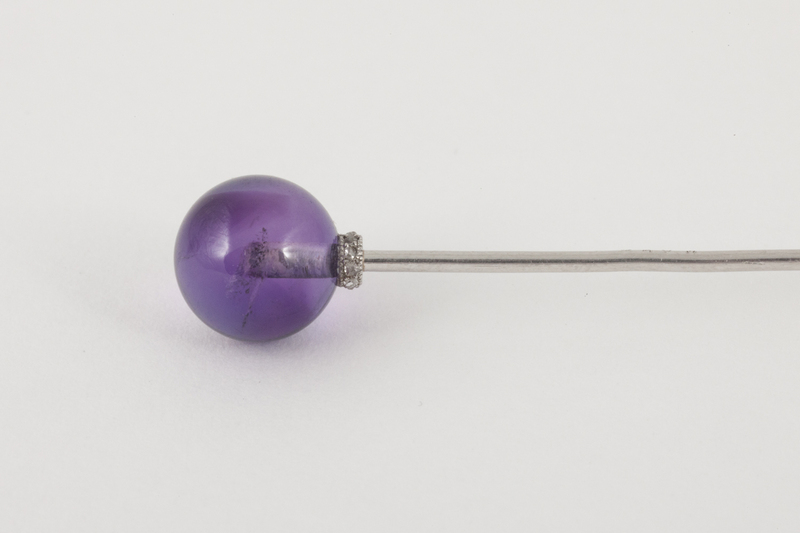 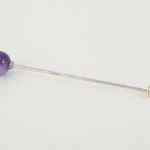 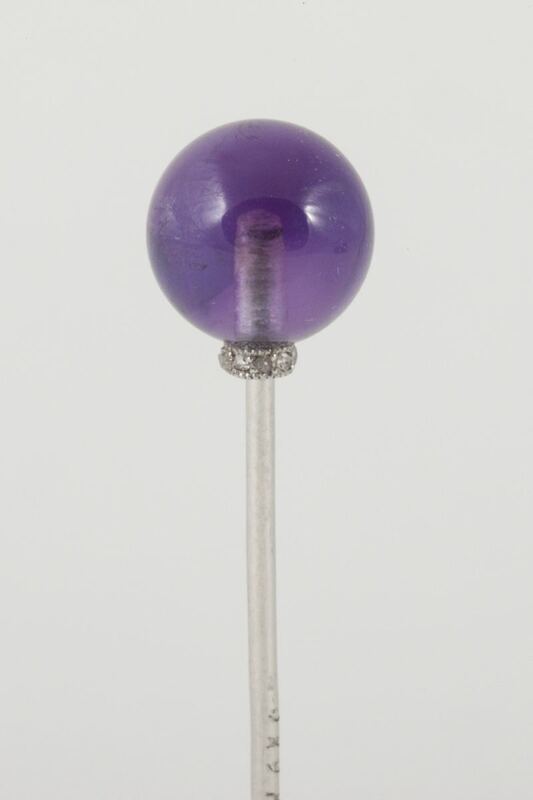 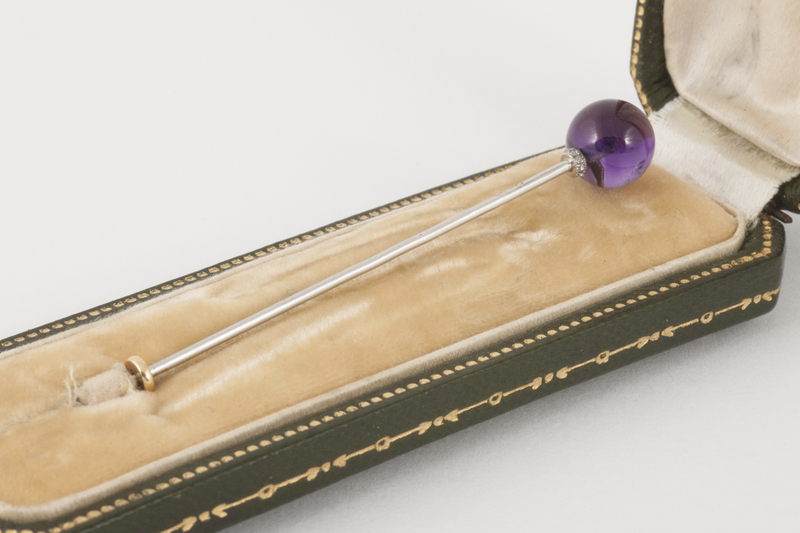 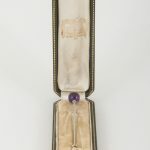 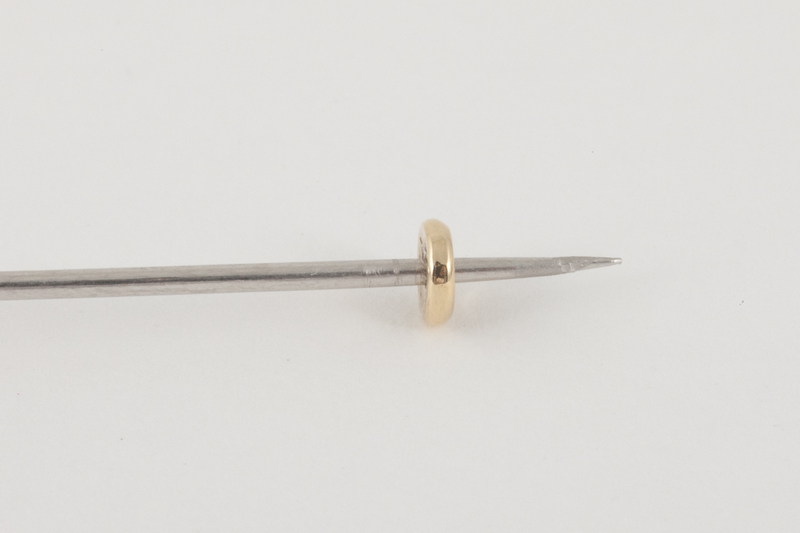 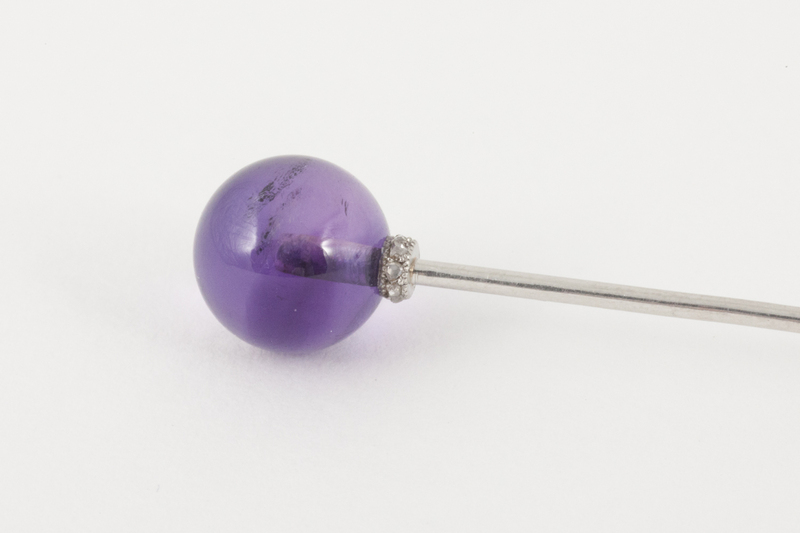 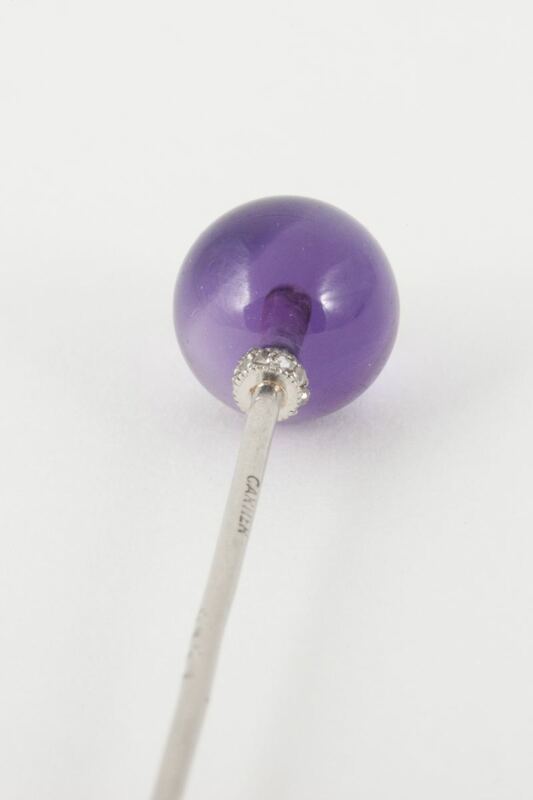 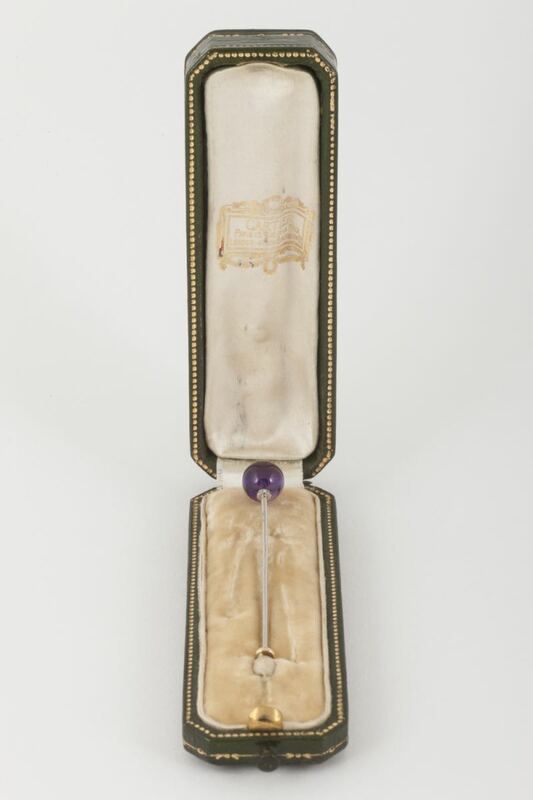 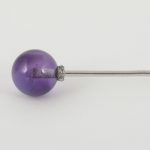 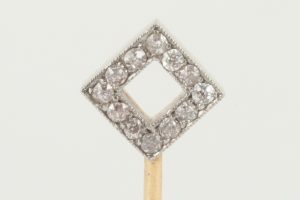 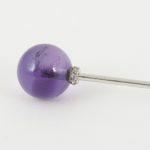 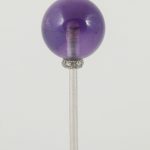 An amethyst ball shaped antique tie pin, mounted in platinum with a rose cut diamond collar. 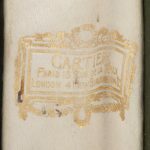 Signed Cartier and numbered 2898. 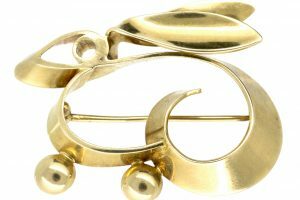 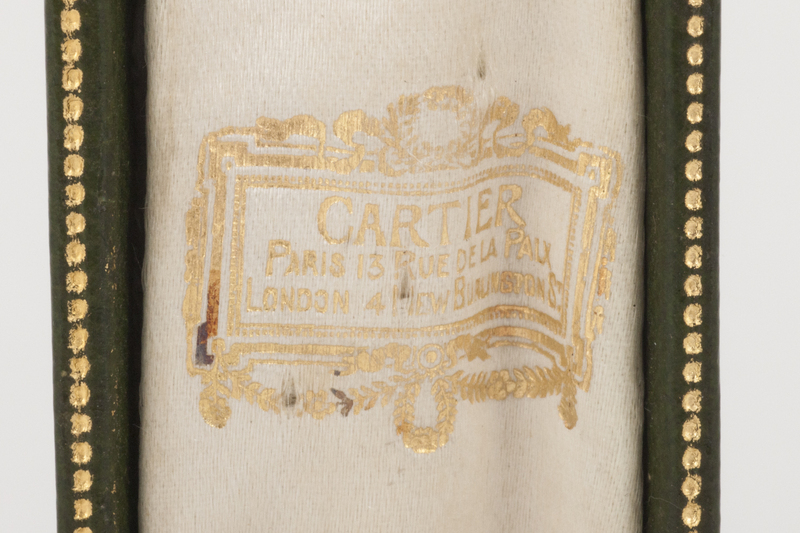 In original Cartier case.